There are plenty of ruggedized waterproof cameras out there, but before GoFish Cam, none were explicitly designed for fishermen. 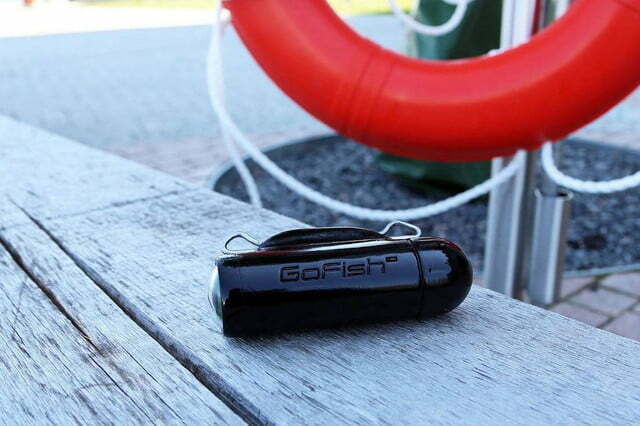 Like a GoPro for your fishing line, it basically records your underwater battles in high definition — which is way more exciting and engaging than the boring old post-catch photos that most anglers settle for. This beast features a 1080p HD color video camera, full waterproofing rated for up to 150 meters, stabilization for wobble-free underwater recording, and a 170-degree wide lens. It also has almost neutral buoyancy, so you won’t lose it on the lake if your line snaps. The camera’s front and rear end attachments hook onto your leader line and casting line respectively, while a low-profile stabilization fin keeps it from spinning in the water. Once its on your line, you can see how attractive your bait is to fish and how fish are attacking the hook — which is nearly impossible to figure out without seeing it for yourself. The only caveat is that it functions best on a taught line, so it only works with three kinds of fishing: trolling (where the drag creates constant tension), casting (for which GoFish recommends a heavier lure for steadier footage), and bottom fishing (where the weight should be attached before the camera’s connection to the line). Contrary to what you might think, you don’t necessarily have to be a producer of solar energy in order to be a consumer of it. See, back in the late 1990’s, America’s interest in using renewable energy was on the rise, so the government devised a way to separate renewable energy from the non-renewable kind. To do this, it created these things called Renewable Energy Certificates (RECs), and more specifically, Solar Renewable Energy Certificates (SRECs) — tradable environmental commodities used to represent proof that one megawatt-hour (MWh) of electricity was generated by a solar renewable energy resource. 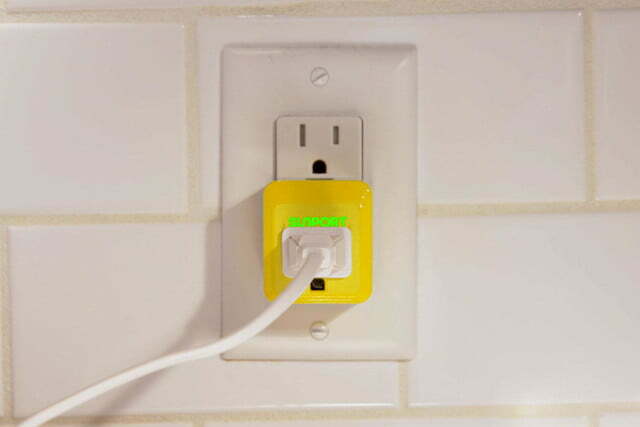 SunPort, which recently launched on Kickstarter, is basically a smart outlet adapter that allows you to take advantage of SRECs in an effortless way. Once you plug it in, the device measures the electricity you take from your wall outlet, and automatically upgrades it to solar power by purchasing small fractions of a solar-energy certificate. Technically you’re still getting juice from the Grid, but instead of giving your money to a coal power plant or other dirty-energy provider, you’re paying a solar power provider, and helping drive up demand for solar energy. 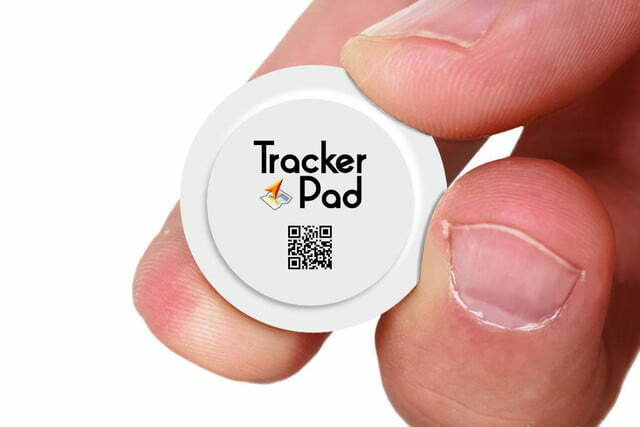 TrackerPad is a coin-sized item tracker that allows you to track practically anything. Unlike Bluetooth item trackers, which have a severely limited range, TrackerPad is equipped with a full-fledged global positioning system, allowing you to track its location (via an accompanying mobile app) no matter where it goes. It’s definitely not the first GPS tracker, but it’s got a few big features that you won’t elsewhere. First and foremost, it’s tiny. With roughly the same size and dimensions as a quarter, it’s small enough to fit onto things like your wallet, cellphone, or keys — without adding a noticeable amount of bulk. The power system is also pretty slick. 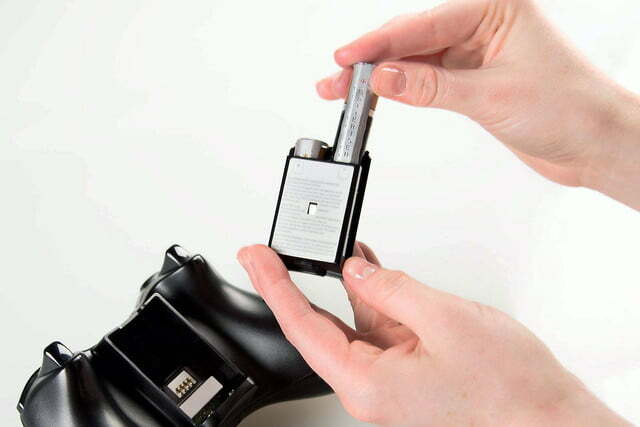 Instead of getting juice from a coin-cell battery, TrackerPad runs off of a rechargeable lithium ion cell. This battery can last up to 7 days on a single charge, and once it craps out, you just drop it onto an induction pad to re-energize it. There’s no fiddling with wires or plugs here — it’s all wireless and self-contained. Arguably TrackerPad’s coolest feature, however, is its reusable adhesive back. It’s designed to be stuck and unstuck from a variety of different surfaces, and all you need to do is wash it off with cold water to make it sticky again. While its name makes it sound like something straight out of SpaceBalls, the Imperial Spherificator is actually a pretty cool idea. It basically turns almost anything into caviar-esque spheres for your most elaborate explorations into gastronomical creation. The company that makes it is an offshoot of a Canadian company that makes caviar substitute. The Spherificator device uses the faux-caviar-making technique to turn pureed fruits and vegetables, sauces, and spices into liquid-filled pearls. 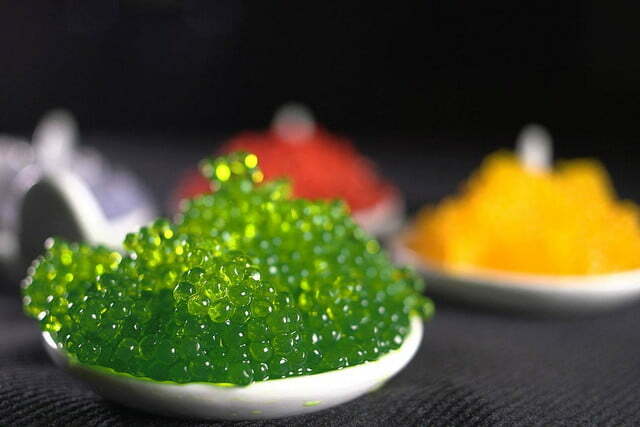 Spherification usually requires using a pipette or syringe to make beads out of liquified food and sodium alginate, which is dispensed into a water and calcium chloride mix, causing a chemical reaction that encapsulates the liquid in a membrane. The Spherificator takes the place of the syringe or pipette, shooting out the liquid mixture into the solution. The result is a “popping boba,” which bursts when squeezed. Some of the recipes the makers suggest include a red onion and red wine vinegar concoction for oysters, a side of mint beads for cheesecake, and pearls suspended in champagne for raising a glass and making your next toast. Disposable alkaline batteries are a staple of modern life. Take a stroll through your house and do a quick count — between all the TV and stereo remotes, game controllers, flashlights, and wireless computer peripherals; you’re probably using at least a dozen of them at any given moment. Unfortunately, you’re probably not getting all the juice you paid for. The average AA battery is rated for 1.5 volts — but after you use it for a while and output dips below 1.35 volts, the cell becomes useless to many electronic devices. The cell’s guts are still working their chemical magic and pumping out electricity, but the circuitry of many gadgets requires a specific voltage, so the device will stop working. Oftentimes, the “dead” batteries you throw away still have up to 80 percent of their energy inside. Batteriser aims to fix this problem. Designed by electrical engineer Bob Roohparvar, this slim metal sleeve is essentially a super-minimal voltage booster capable of extending life up to a claimed 800 percent for disposable batteries, AAA through D. Believe it or not, the technology that makes this possible is far from new. Voltage boosters have been around for quite some time, but up until now they weren’t particularly small or compact. Batteriser, on the other hand, is so slim that you can clip it onto a battery and it’ll still fit inside the gadget you’re trying to power.